House remodeling is a great way to bring dream homes to reality, after all not many of us will be able to afford to build new from scratch. 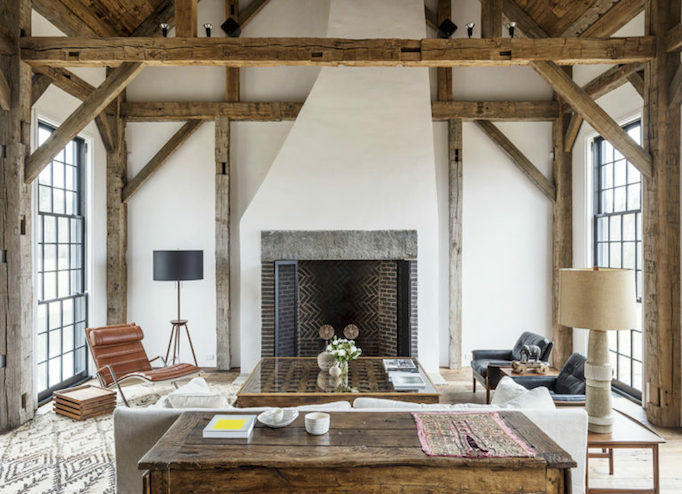 To bring you plenty of design ideas on this page we have curated some of the pages with the highest social votes as “Dream Homes” over the last 6 months. 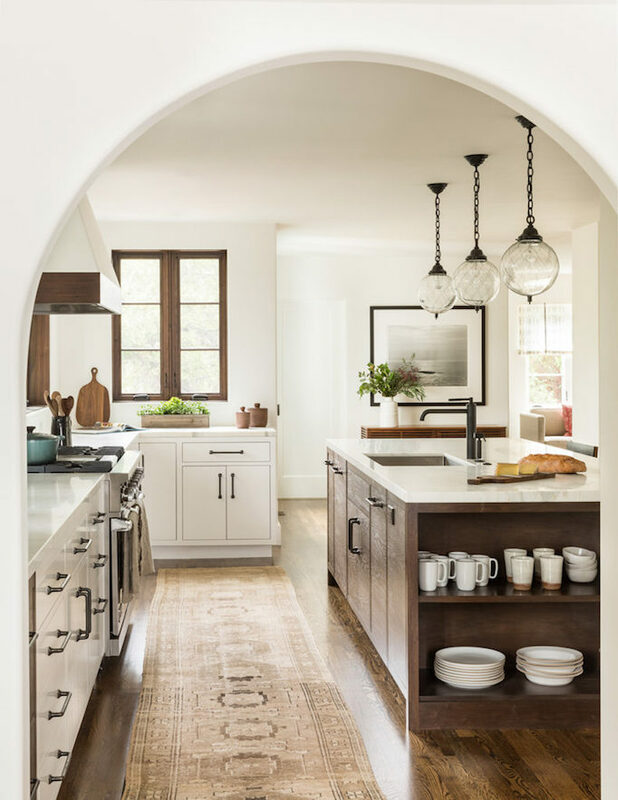 Scroll down to see, first a beautiful Spanish Modern style home, and last an eclectic modern farmhouse home also from the same author. In between these articles we have included a more down-to-earth article about how a family built a dream house from a six-bedroom flat pack home in just four days. 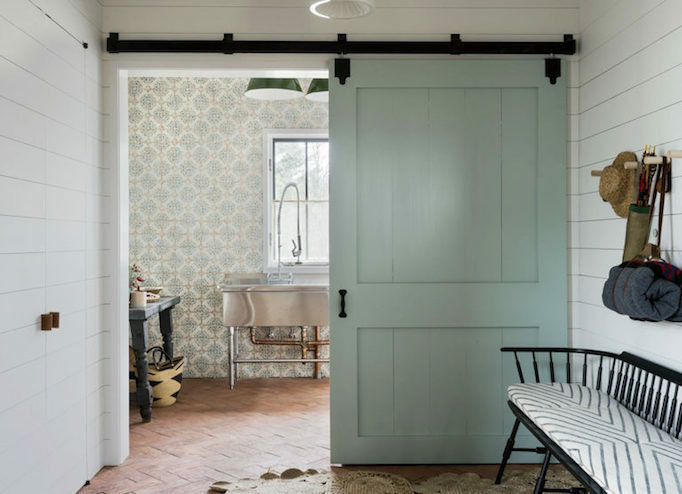 Our first dream home is a beautiful refresh of Old World style by Jute Home, a San Fransisco design firm. 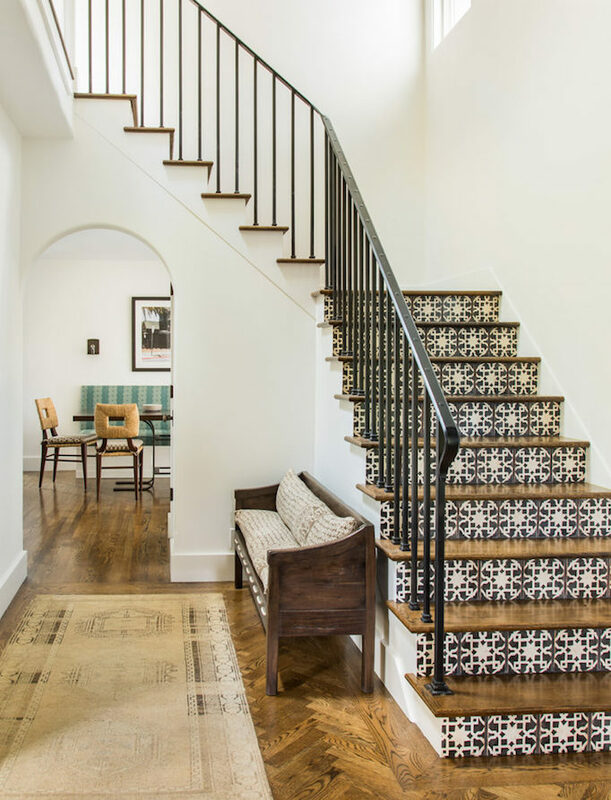 Clean lines and white walls are blended with rustic details like intricate tile and unique woodwork. 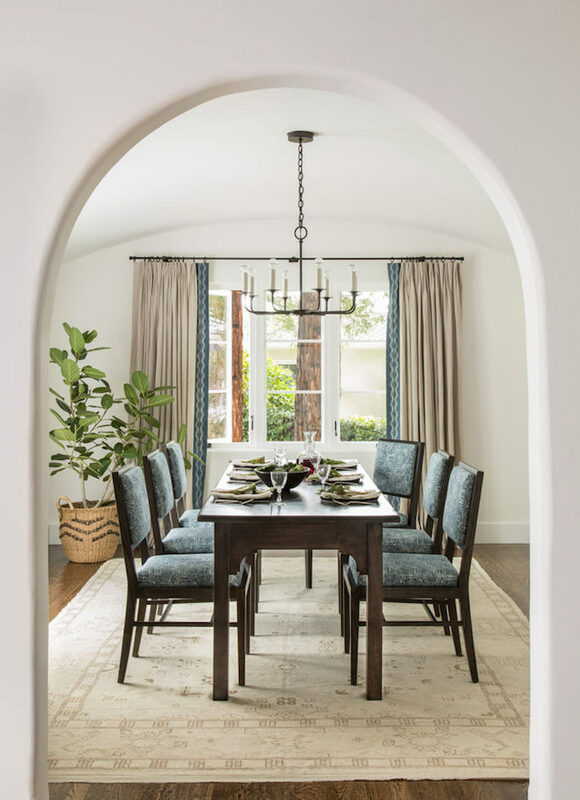 Beautiful soft blues and greens stand out against an otherwise neutral color palette for a space that feels both fresh and warm. 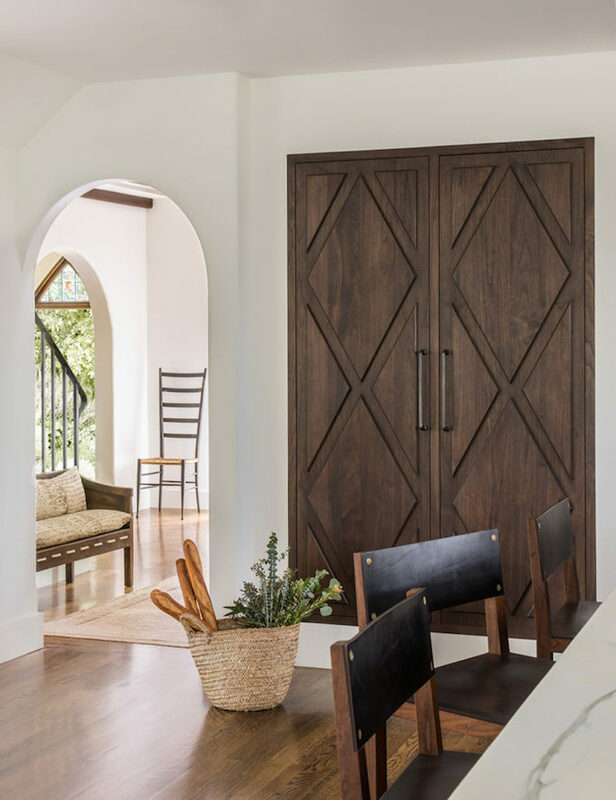 Take a peek at this beautiful Spanish Modern in Hillsborough. Isn’t the home beautiful? 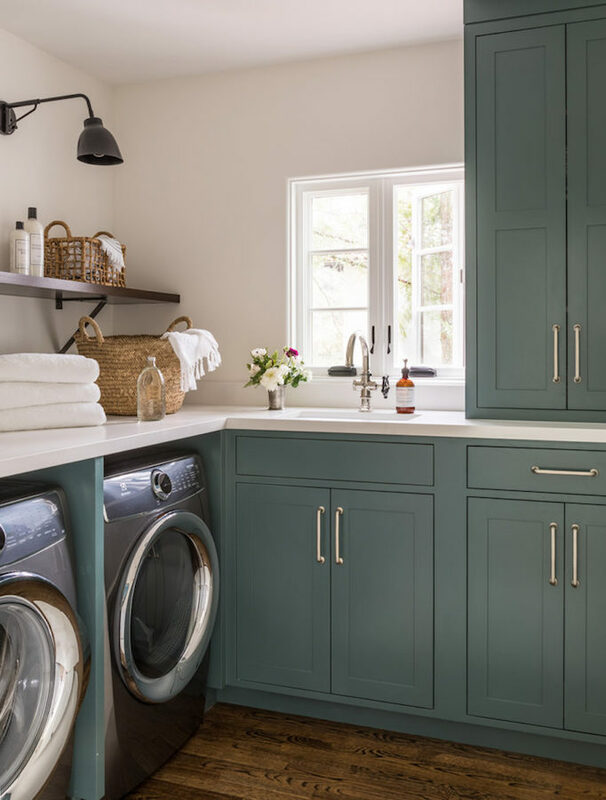 I am loving the color of this laundry room (check out my cabinetry paint guide for similar soft colors). 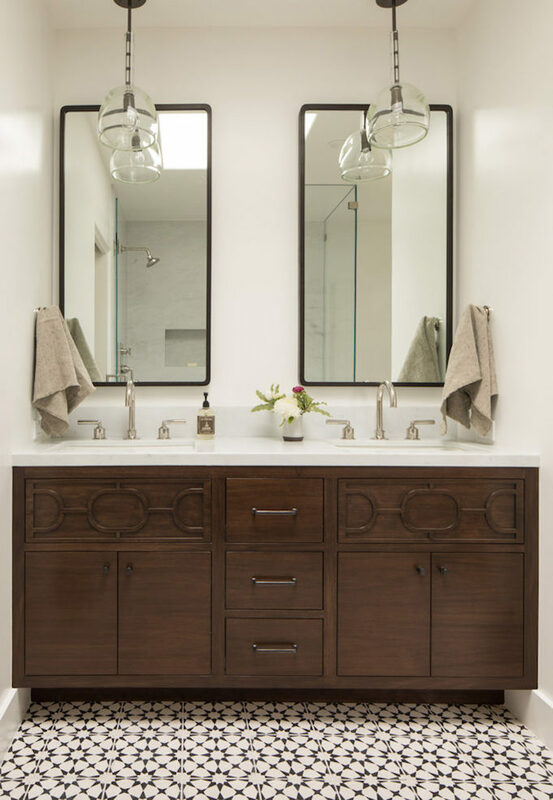 For more inspirational ideas in my Dream Home Series, browse past posts here. 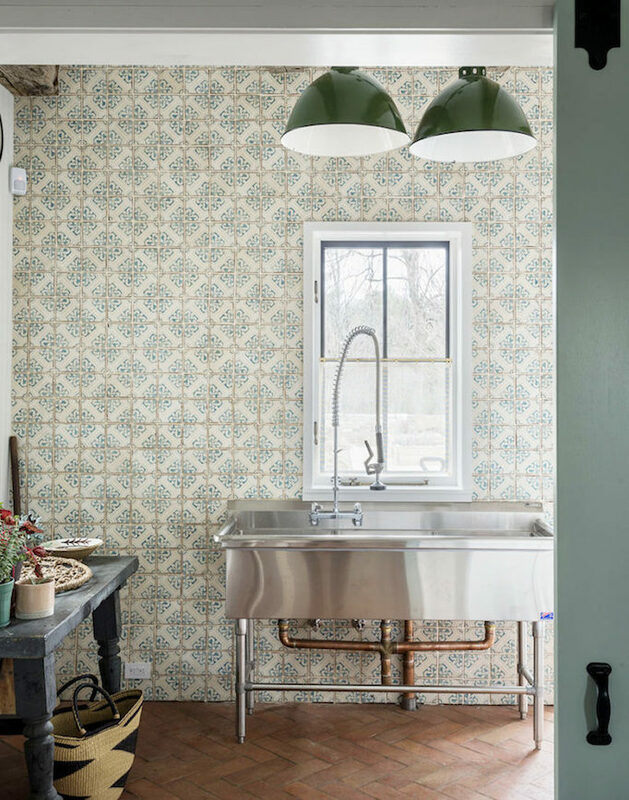 To see more of Jute Home, check out their portfolio. Thanks for stopping by today! Now, imagine walking around IKEA, and at the end of the long journey through soft furnishings, when you hit the ‘home’ section, it meant actual dream homes. A flat pack home has been built in Bridport, Dorset, after a family had it shipped over from Germany – and they got it up in just four days. The Cooper family purchased a plot of 52-acres to build their home after deciding they had outgrown their old home in London. Dad Richard, mum Nikki, and children Teddie and Stanley are to feature of the Channel 4 show Flat Pack Mansions. They already had a holiday home in the area but upon deciding to move over to the south coast of England they could not find a property which suited them. It was then that they decided to purchase some land and build their own. 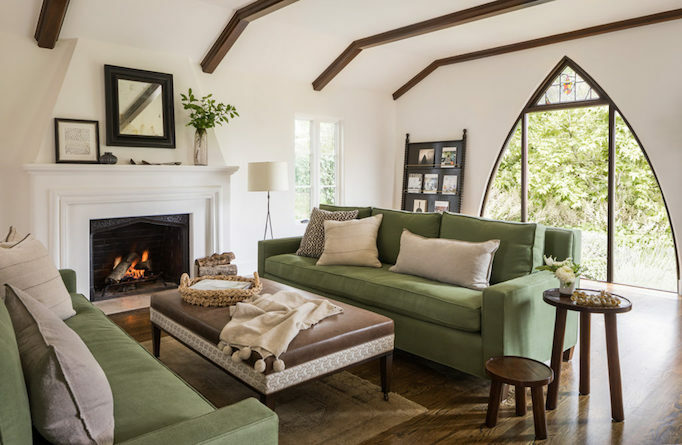 With seven acres of garden, plus another 45 acres of forest, the family had plenty of space to build the property of their dreams. Prefab homes can reduce the cost of actual house building by 10-25 percent. And in terms of time spent building the property, well, that’s reduced significantly. It takes just four days to go from the ground to completion. Windows, doors, and other details – right down to the light fittings – are already chosen before the house leaves the factory. On day one, the first floor was put together, day two the second floor and day three the roof. The fourth will saw all the finishing touches added. The family, who own a chain of pizza and cider restaurants, had pegged their initial budget at £700,000 but additional costs meant this eventually crept up to £1.2 million (it’s alright for some, I guess). I came across this incredible farmhouse the other day packed with so many unique elements. 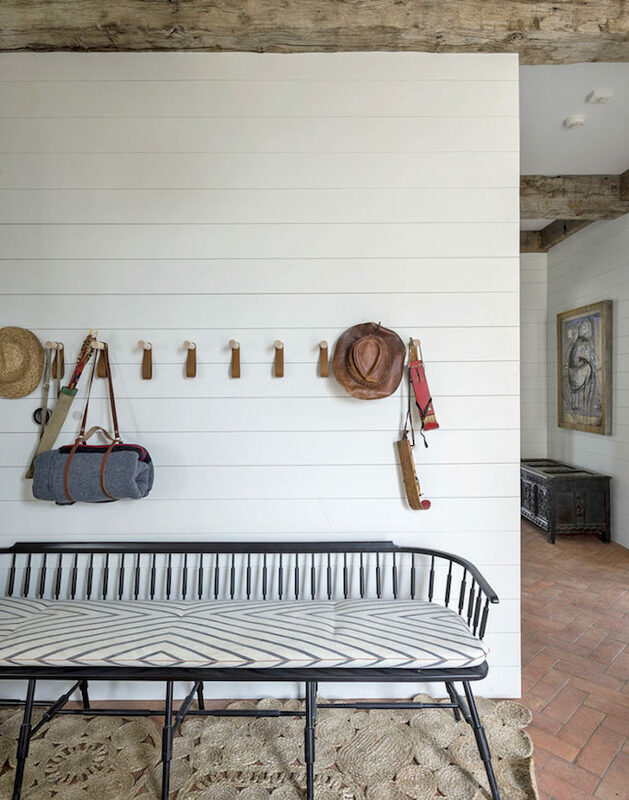 It is a beautiful blend of rustic beams and flooring, crisp white walls, modern clean-lined furniture, and Old World tile, with one-of-a-kind accessories that make it truly an original. 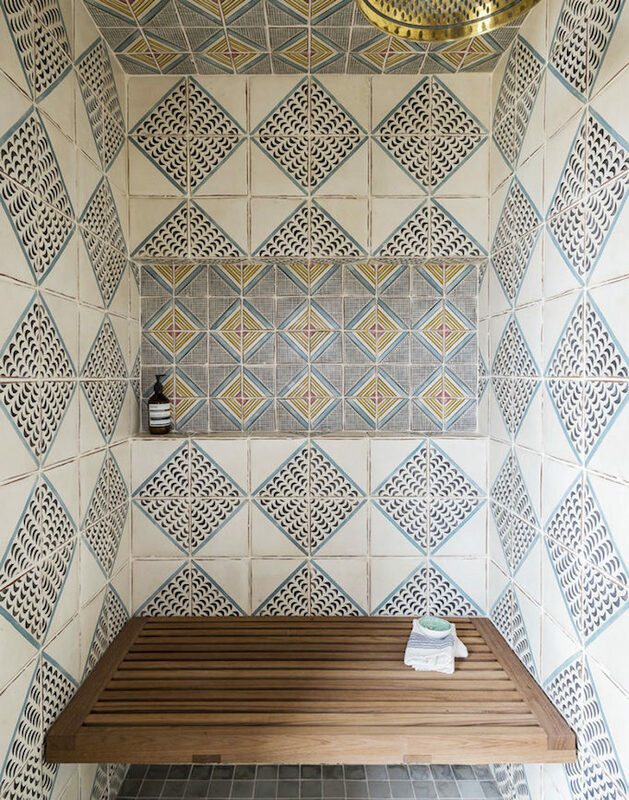 The patterned tile alone makes it worth sharing, but you are going to love the entire eclectic space. 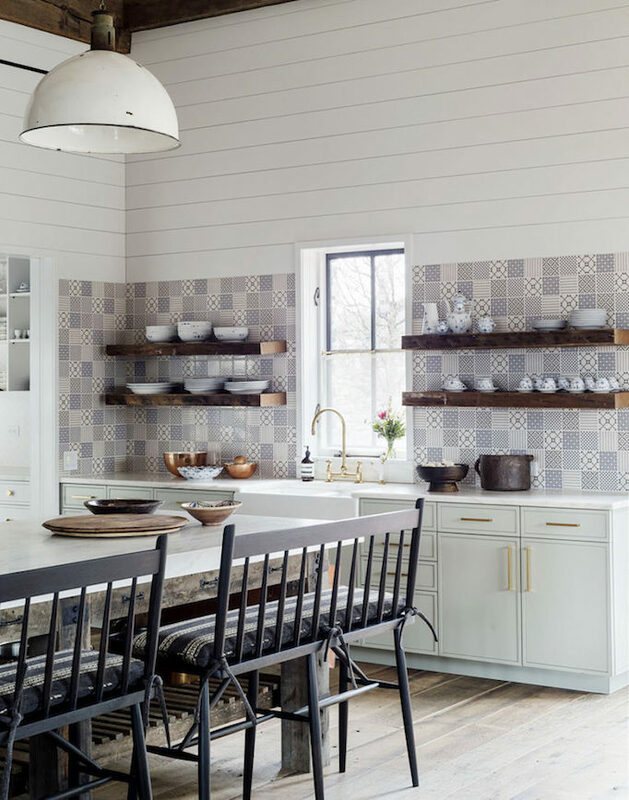 Rustic woods and white shiplap fit with everyone’s current favorite style, the Modern Farmhouse, but this kitchen stands out with its soft mint-green cabinetry paired with blue and white patterned tile. 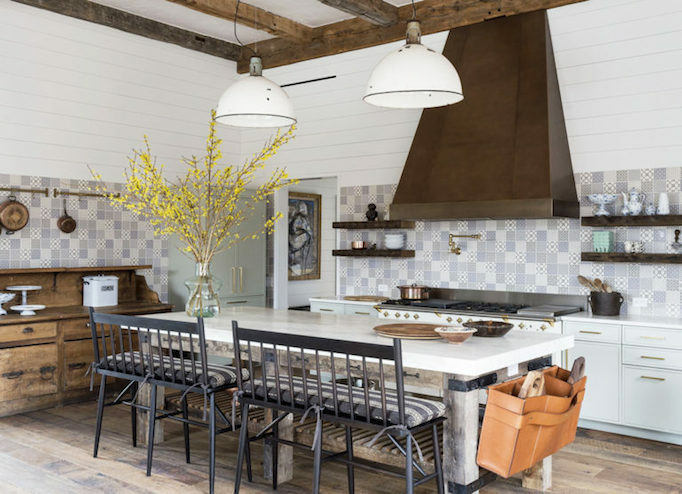 I love how the tile wraps all the way around the kitchen. 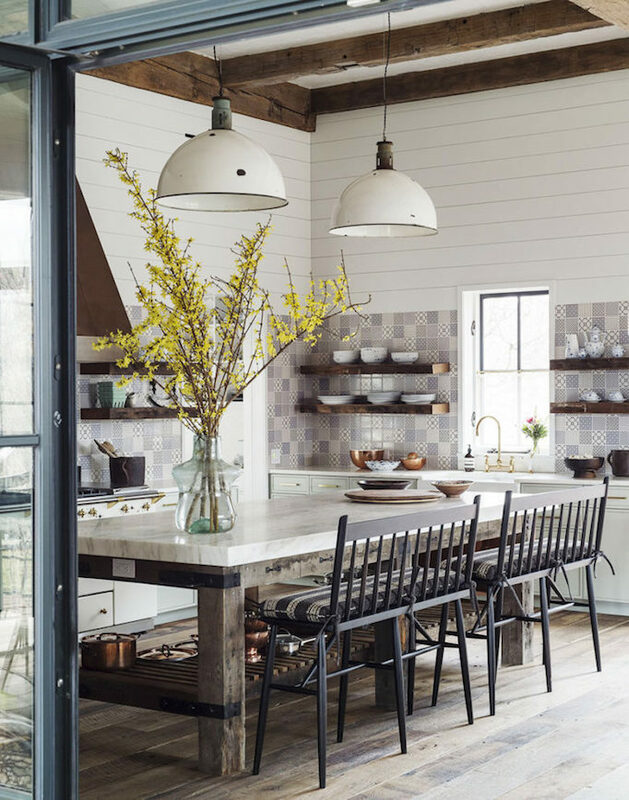 Off the kitchen, through an industrial steel-framed partition, is a warm dining space with an impressive dining table. 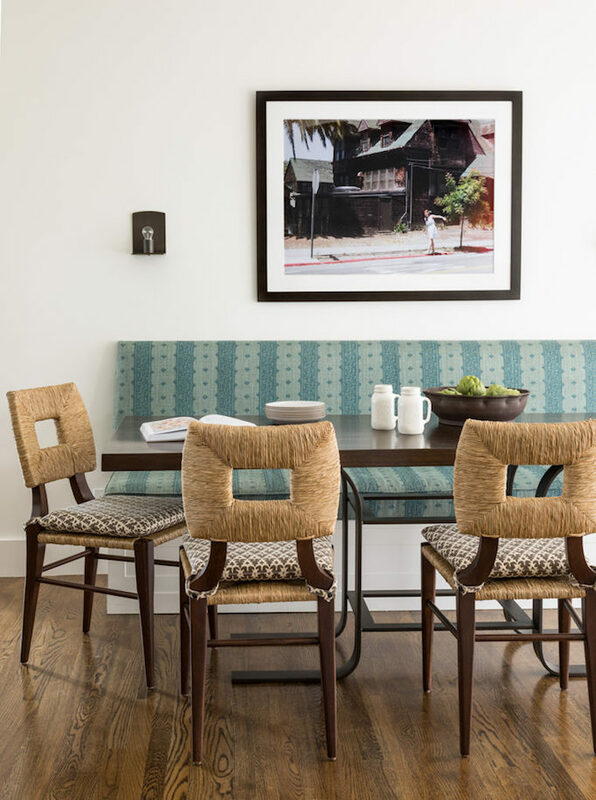 The chairs are painted a deep green that pairs beautifully with the aqua accents in that insane nautical rope and blown-glass statement chandelier. 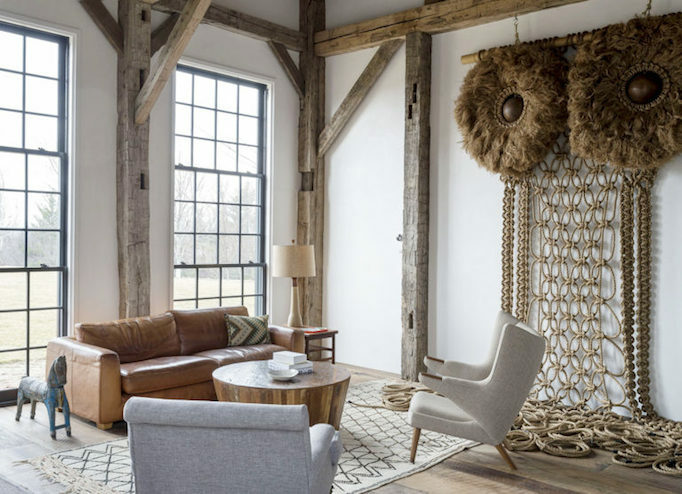 The living room is a rich mix of modern lines and rustic details. 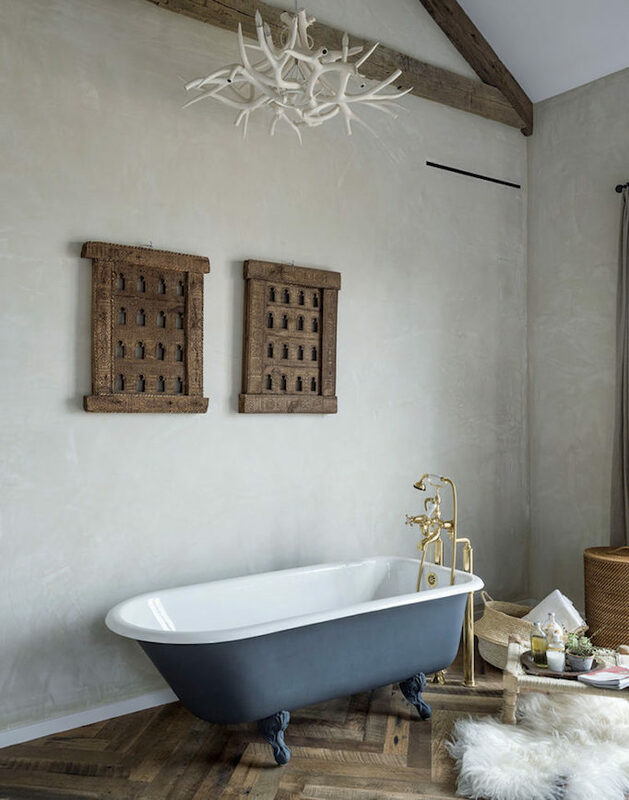 In this room, the color palette stays neutral, but layers of texture add interest and warmth. 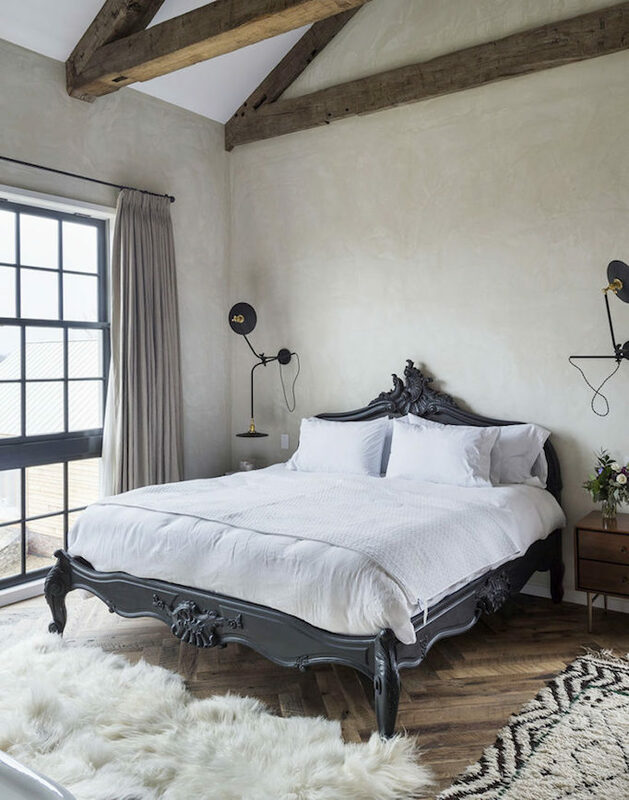 Crisp white bedding against that Old World bed frame makes a pretty statement, while modern sconces and side tables keep the space feeling fresh. 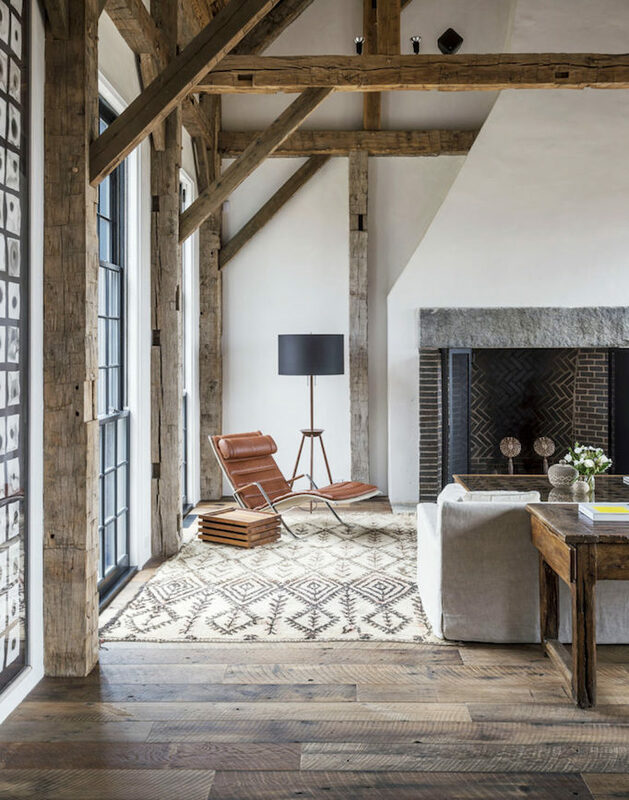 Smaller shag rugs are layered for a bohemian ease. This is also a more affordable way to add a rug to your space. 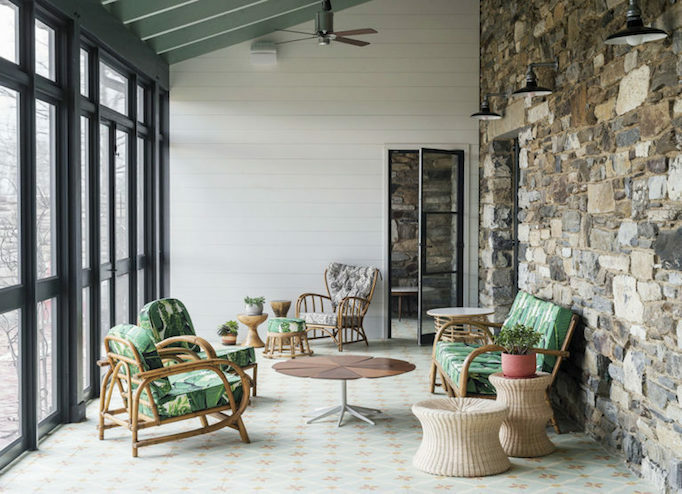 Tropical rattan furniture in the sunroom is unexpected and fun. 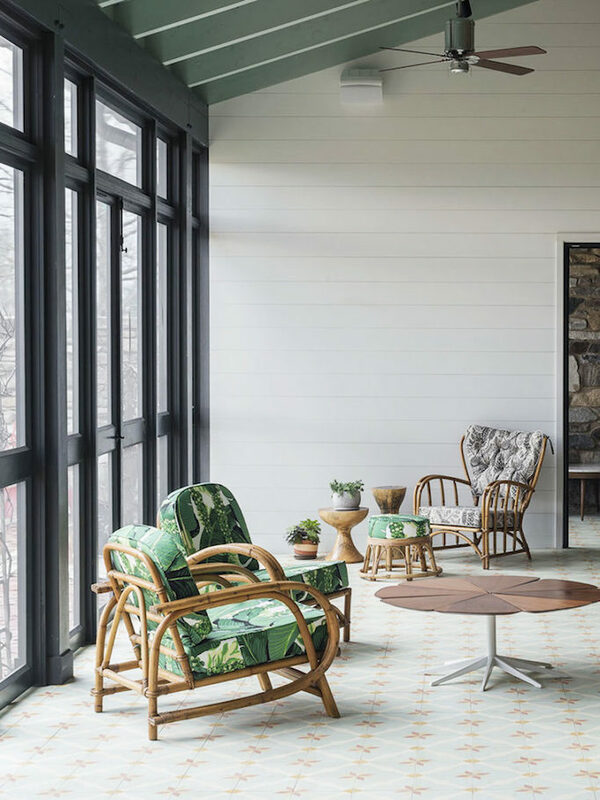 It fits with the pops of midcentury furniture found throughout the house and with the soft green color scheme. 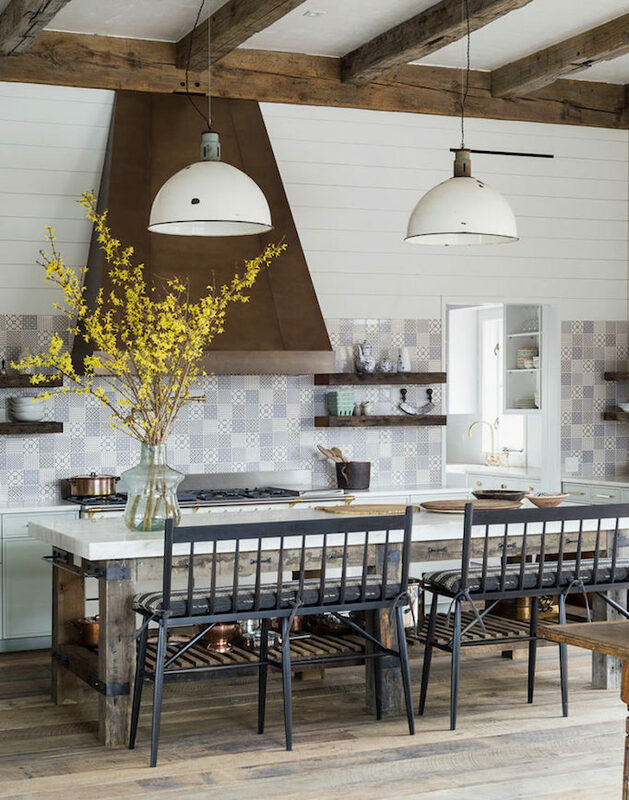 This farmhouse feels bohemian and eclectic yet modern and collected. It is beautifully designed. To see more from Jennifer Bunsa, browse her portfolio. 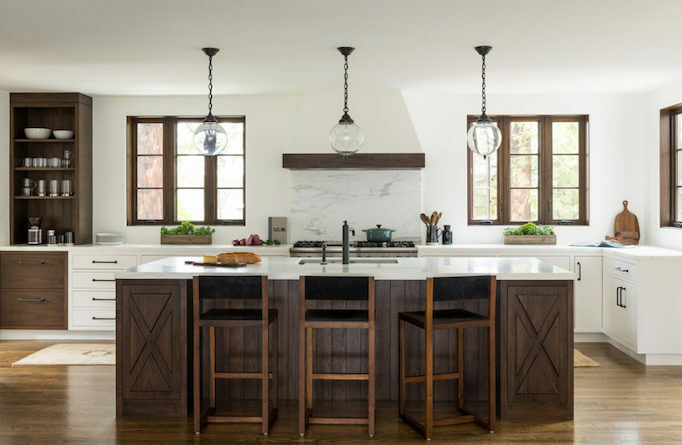 If you love the farmhouse look, be sure to read the other farmhouse posts in our Dream Home Series: An All American Modern Farmhouse, A Modern Ranch Farmhouse, A Mill Valley Masterpiece, or Newport Beach Modern Rustic. If you are remodeling your house, or buying a new home with remodeling potential check out our services, and get a Home Inspection done. You know it makes sense. Don’t risk buying a big problem, once you start your remodeling and find the defects! 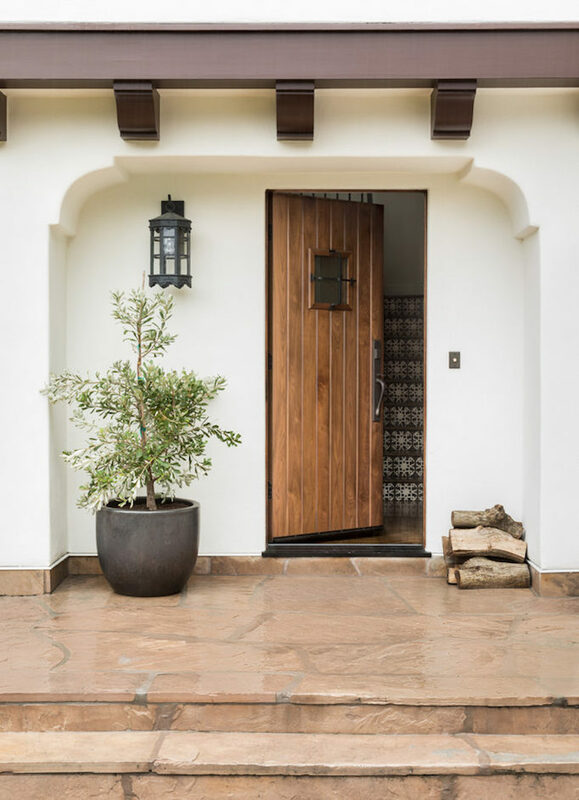 Make sure you know about future potential problems with any house you buy before purchase, so that you buy at the right price and with your eyes wide open!